face tough competition or generate any offence. But in the past, things would get ugly. that Stuart had already blocked four shots. Stu has played all right recently. Could this be the start of his regression? scoring chances? Yeah… that’s not going so well. line to make him think it’s worth keeping together. It needs to change. Kane and Jokinen do not work. waiting, but he did manage some positive output against the Kings. and more important that this losing streak comes to an end. 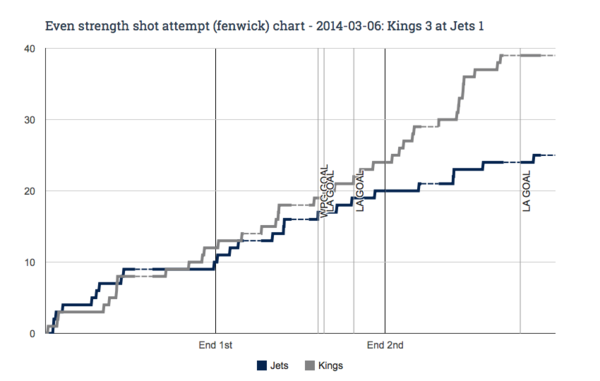 JNGD.S8.G76 Flight Plan: A Possible Playoff Preview Between Jets And Stars?